Our NEW Toppik 2018 Starter Promo Kit 4 in 1 is suitable for starter who want to experience toppik at comprehensive level but don’t want to burn a holes in the wallet ! YOUR CHANCE IS NOW ARRIVED ! TOPPIK 2018 STARTER PROMO KIT is the most comprehensive toppik package at an amazing price ! FIRST TIME USER CAN FINALLY GRAB TOPPIK AT A BARGAIN ! Toppik Hair Building Fiber uses something known as “micro-fibers” which, when applied, bind to your hair, making it look thicker. The fibers used are made of the same protein Keratin that normal human hair is made up of. The fibers actually mesh with your hair so well that it’s nearly impossible to tell the you’ve done anything. For best results, lightly apply Toppik FiberHold Spray to lock the fibers into place. Close the container and store away from moisture when not in use. Use Toppik Fiber Hold Spray for added durability and a finished touch. 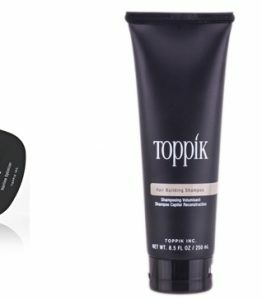 Dramatically improve results by using the Toppik Spray Applicator and Toppik Hairline Optimizer. 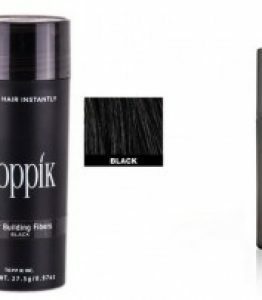 These precision instruments allow you to precisely spray on Toppik and enhance your hairline. You will immediately see an even more natural look.